These are the perfect Rock and Pop Function Bands for weddings, corporate events & parties in Gloucestershire, locally sourced by our entertainment experts. Find the best Gloucestershire Rock and Pop Function Bands only at Alive Network, the UK's biggest entertainment agency. Re-live all your favourite tunes from the 1950s to present day with the exciting & energetic Stereo Sidewalk! From Kings Of Leon & Maroon 5 to The Beatles & Chuck Berry, this amazing band guarantee a packed dance floor with their feel-good repertoire! The Custodians are sure to bring a party atmosphere to any event. Boasting a full band and horn section their sound is big, bold and sure to get you on your feet. With a thumping repertoire of dance floor classics The Custodians hold the key to a night to remember. 2Tone Funktion are and eclectic & energetic 8 piece band that fuse rock, pop, reggae and ska to form a unique live experience. With a stand-out sound and super-fly style 2Tone Funktion will be the perfect addition to your party. 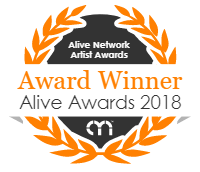 Alive Network are the largest Function Band agents supplying Gloucestershire and one of the leading entertainment agencies in the world. We specialise in booking Rock and Pop Function Bands for weddings, corporate events and private parties.